Our little party consists of Angrim, Son Of Xorzag, a Tobrian Dwarf; Isidra Ilmensen, a Rondra priestess from Fountland; Dirundriel Elmsrun, a Silvan Elf and Alrik Pinehouse, a Magician from the river Svellt. The setting is windy dungeon involving wine and wretched armory. Your quest is to trade with the halfling linguist at the ornate great hall. Trying to stop you is the wraith skilled in planar survival. You are currently at the poorly-lit tavern. So, we're obviously in some Dwarven town, deep beneath the mountains. We don't have Halflings but Hill Dwarves - so that fits well, too. Behaving peacefully - with a passion! Soo, our Dwarf is one of the typical kind: He dons a chainmail shirt, has several weapons - most of them axes - and wears his helmet, although he's at a tavern. She's basically Red Sonja in plate mail with a flaming-blade sword - it's called a 'Rondra's Comb'. She enters the tavern - are there many people here? Does someone start a bar-fight? As it's a Dwarven tavern, they sure use weapons. 'May I sit down?' she asks. 'Sure.' the Dwarf answers in a friendly voice. The both of them sit and drink. Do they talk to each other? They're quite happy with it. Our magician Alrik! He's a 'Grey Wizard' and studied Lowangen. He's also very young and fresh from the academy. He looks around and then, seeing there are no other empty tables, asks if he could sit down with the other two. They are even a bit friendly towards him. And they drink. In silence. Next is our Elf. A very unlikely place for an Elf - even more so for a Silvan Elf, who's used to live under the trees of the forest. He's all clad in leather, armed with a bow, hunting-spear and a three edged, rapier sized blade called a 'wolf knife'. Also, he has black hair. Does he also sit down with them? Does he go straight to the landlord? Does he order some wine? Does he then look around and see that there's only one table left where he could sit? He then asks them if he could sit with them. Do they start to talk? It'S actually very nice. What do they talk about? I already decided that the Tobrian Dwarf will try to convince others that the 'rule of the people' is a good thing. He also carries with him the printed manifesto 'Against Socage And Fief'. He should also have a rather high persuade skill. As the warrior cleric is also from Tobria or maybe from Fountland, she is most probably already quite familiar with the ideas of the movement. How does she react to what he has to say? Do they reveal their feelings towards what he says to him? So much for 'breaking the ice' then. Who's next? Alrik then. What does he have to say? Does that have anything to do with what the dwarf said? He's probably in favor of what he has to say. The Svelltdalers have always been a rather independent people. I don't think a dragon enters the tavern. So is there talk about one then? Is it an immanent danger? And it lives in the mountains here? And it keeps pesting the Dwrves here? How about trying something else here and ask: 'How do we get the quest?'. How did that lead to us getting this quest? Hmm - can't make anything out of that right now. The Elf speaketh! What doth he have to say? Oh, he might have it all gotten wrong, because they don't really have that kind of feudal system, like the other people. He thinks it's about 'deceiving representatives' as they don't really have lords or anything like that. And they fight her with weapons. It doesn't really make sense as a representative would only act with the very best of intentions for those he would represent, if that would ever be necessary. He got it partly right, though. Does the Dwarf try to explain it to him? There is a competition now. It's about throwing something over. Oh, those Dwarven drinking games. ^_^ Does anybody of the party want to take part? I expect at least the Dwarf and the Cleric to be good at drinking. Eeks - will have to play that out next time. rolled a 1 on a d4. Then you would pass out or whatever. However I don't see that happening in a fight, so maybe I'll just say it's a 1 on your first die and then that's it. I found the original 'drinking game' rules a bit too ... not like the other (house) rules we've been using. Maybe if you 'fought' the alcohol?According to the rules, beer has a 'strength' of 1, wine '2' and liquor strength of 3. I think the character should maybe use con. (or maybe will?) and her drinking skill. Don't really feel like playing out a driking game right now - any 'casualties'? They're battered. None of the party actually 'won' I guess? They all agree they're suffering right now. One of them getting sick on the floor? Ah, maybe or little 'bureaucratic' calamity? Who is it? So, he leaves the the party, due to urgent 'legal matters' - where does he want to go to? Is it because he's drunk? So, what about the others? K, so he maybe he wants to try to apprais some of the things at the auction and the others are all put off, like: Oh no, art - we don't like it! They wanna ruin his fun. Soo, I don't really imagine him like he's all into art and stuff - people from the Svelltdale are generally a bit more down-to-earth. Also, he wanted to go and settle legal matters and the reson for them to talk to the Dwarf was some messed up bureaucracy thing. But on the other hand, they are all very drunk - so, there's chance they'd do stuff they wouldn't normally do. So, maybe he accidentally walked into that auction house, because he thought it was some kind of governmental office or something like that. So, what's up for bid? So, what's his appraisal skill? Is it high? The Dwarf should be good at that too - is is appr skill high? People probably know - is that's why it's worth something? 'Druid Hill' and 'Preparedness 101: Zombie Apocalypse' - sound interesting. Okay, we killed a couple more 'Ambusher-Heist Real Dwarven beer' while waiting. So we don't really mind. I decided I don't want the wraith to be an actual ghost. Maybe more like the Wraith from Stargate - what else could it be? A map carved into a massive block of stone. Is it up for bids too? Maybe like when you bid on a suitcase and don't really know what's in it - the block is upside down. Do they say if it's, like, a map to a treasure or something? They don't really agree on what it really is. (Sure Thing | 8[d10]) Yes. Is the club something like the ownership of a tavern? Oh, there are academic papers inside the club? Maybe something from Dwarven mythology? Oh, that sound interesting - what kind of relic? K, shall we leave, all? Oh, never mind - let's just leave. After all the Wizard has urgent legal matters to tend to and everybody else doesn't like art. We should find a place to stay? An expensive place to stay at? Someone's really into something here at the auction house? Oh, Wraiths could be people from the Dwarven secret service here? Shrewd professor who is slightly weaker than you and whose motivation is to inform discrimination, account vigilance, and detect harmony; who speaks of hostile obscurity and is focused on your fame. Does he challenge our Dwarf's 'fame'? Like in: What are your accomplishments? I decide it's so important to dwarven culture that he has a 'brag' skill - is it high? Okay, it's just the base skill then. Just thought of that a skill specialization should get you two dice-classes better than just one. Dunno if I did it like that before and just forgot. Maybe I had reasons though, if the other case is true. Is the Dwarf's int high? The other guys think they are arguing, because they don't know much about Dwarven culture and try to make them stop. Isidra, the cleric. She should know about bragging, though. Who else? The Elf. Would make sense. Although Silvan elves maybe know something similar. So, it's the Wizard then? Well, never mind - what kind of news? Maybe someone stole from a temple? Let's get to that governmental office, shan't we? Maybe they tried to lure him some place? Or he just wanted to leave the tavern? No, he likes to drink. It's also a nice link to the actual quest. So let's just go there! Someone lost at the auction? Oh, we can't find it? Curious highwayman who is slightly stronger than you and whose motivation is to agonize harmony, interact valor, and plunder peace; who speaks of inquisitive bias and is focused on your previous scene. He was at the auction? Anybody else at the office? What kind of governmental office is this? They have an eye on the purity of gold. So, what does the Wizard have to do here? He's supposed to work here? He feels like throwing up? D10's actually a bit much for first level, but it's hard to raise later in the game. A D8 would be like - one in ten people are that strong willed. A D10 would make him one of the most able Wizards maybe in his whole town. How drunk is he still on a scale of 1 to 10? He doesn't manage not to laugh though. Maybe he's subconsciously sabotaging this because he doesn't really want to work here. How is this a bureaucratic mess-up that will lead to us talking to that Hill-Dwarf later? What about the others though? No, it should be about like getting a form stamped or something - what could it be? They also will have to meet a Hill-Dwarven storyteller who will - at that point - be telling stories at a 'great hall' (kings have great halls). The Dwarf is also a linguist. Hey: Maybe he also works as a lawyer? But how would that be the end of a quest? Yeah, I guess that's what it will boil down to in the end. Okay then: Angry Wizard and new found friends / drinking pals are at a governmental ('mental' *heehee*) office. He wants his animal(s) back. Btw: He's from an academy that teaches the (Silvan-Elven) spell with which you can polymorph into an animal. All Silvan Elves know it too as it's part of their way of life / culture. Would be funny if he'd be the actual animal they want him to pay taxes for. As it doesn't really 'exist' he can't really be made pay for it. They just don't (want to) understand - after all it's about gold and stuff ('Dwarves' <_<) and be a true bureaucratic mess-up. He could also use a lawyer in that case. Time for a 'duel of wits'! So, what's the bureaucrat's smooth talking / persuade skill - is it high? And the Wizard? Is his skill high? Does the dwarf start ranting about democracy? Maybe he can aid him. D8 then? I just 'invented' the 'argue' skill. How high is the bureaucrat's attribute? Is it high? 1? - I mean, when he's sober - after all he's a wizard and all ...? 'Lps' for 'Duel of wits' - D12? And the Dwarf? D12 too? Okay, they argue and things 'have been said' but they can't really agree. What kind of exterior factors? Maybe people come together outside the office to listen to them arguing. So they decide to leave. You could still ask around. What now? Time to sleep already? Let's have a couple more drinks then! Does anybody know about a good lawyer here? So, what do we get to see? Willful officer who is much stronger than you and whose motivation is to institute intelligence, associate greed, and join servitude; who speaks of scheming records and is focused on your weapons. (Oh, the wraith could also be an old woman at the entrance to the great hall! Oh no, Lizard men usually don't live so far up north. Mabe someone tells a story about such an incident? Someone laughs about his story and he gets angry? Oh, it's nice that the bad guy got punished, right? Do we get to know the lawyer's name? Where he lives - that's just as good. Let's go there then! The taxes department is not somebody to mess with? 'The setting is windy dungeon' - so it's very windy now. Chilly! Is it sleeping time already? Let's find a place to stay then, shall we? Looks cheap - good thing! Oh, and let's get ourselves some hard-cured sausages and maybe some bread, too! Okay, let's go to sleep then. Let's get us something to drink then! Anyone else been sleeping at the dorm? I search the other 'beds' for cash and or forgotten items - any luck? Maybe a bell to call someone with? Oh, we probably payed in advance, didn't we? Do we argue with each other? Oh, we weren't allowed to take our weapons with us? Maybe they carry something heavy? And one of them tries to make it so that the other one has to carry the heavier load? Apparently I lost everything after this because it didn't save correctly - my wifi didn't really work all that well today. I think I remember we went to a tavern and talked to a couple people. One of them tried to make the dwarf and the elf fight - we just left (after a short visit to the restrooms ^_^). We then met some kind of 'official' (it said 'governor') at a windy rift. We apparently woke him up and he told us some old stories of his (to brag about his achievements). Sooo - what about that 'governor'? He needs money and we could hire him? He gets drafted into the army and can't help us anymore? He tries to recruit us? He's a bad luck magnet? Maybe he gets called away - much to our misfortune? He promises to meet us again later but it's quite clear he won't. He actualy has to go to the restroom but wouldn't commit it. Okay, so it'S some kind of rumour? Okay, let's get back to a part of the town where there are more people than here. So, what did they hear about that rumour? Maybe a feat or something? Well, never mind - what about that lawyer - does anybody here know his name? Now all we need is an invitation to the great-hall or something. Good thing - let's go to the great-hall then. Is the wraith already here? I envision her to be some old crone at a reception or something. 'Excuse us, dear Sirs but we'd love to talk to Xandir, Son of Brogar. Would that be possible? They could not throw us into jail if we'd leave right now? Oh, we could just enter the building? They think we might be spies? Let Angrim , our Dwarf argue with them. Is their 'argue' skill high? (20 = 20[d20]) Critical Injury: Requires immediate attention; clearly life-threatening if not immediately deadly. K, apparently he was quite convincing! Still - can we enter? Do they know when he will come out again or could they send someone for him? Let's wait for him where he lives, shan't we? some kind of 'Tourist information'? Yeah, I dig that - let's go inside and see what they have! Can't take our weapons inside? Never mind - the Wizard can go inside. Let's get us a few maps and stuff - are those expensive? Oh well, we probably don't have enough money then.Now we're sobering up a little, we might also realize that the best lawyer in a Dwarven town is probably rather expensive too. 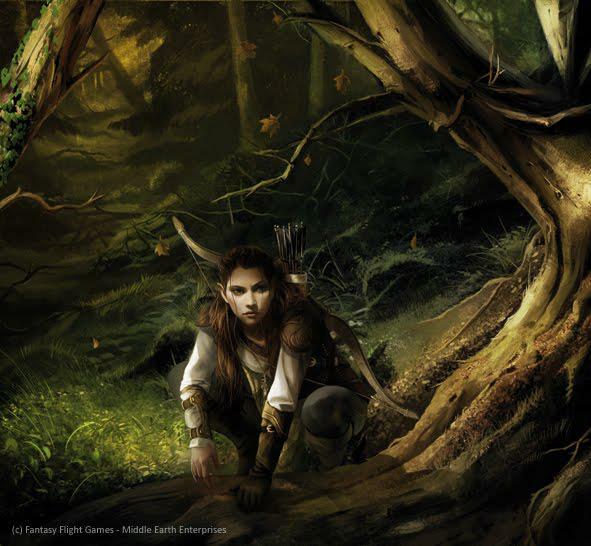 Read an interesting article on how Elves - and especially Silvan-Elves would use magic more like an 'ability' rather than actually casting a spell and also in every day situations. Looked up a few rules to simulate that and also read about the wizard's and cleric's magic/'clerical-magic' and how to simulate that. Also remembered that Silvan Elves suffer when in an subterrean invironment and remembered a nice spell that would allow them to 'visit' 'their' forest in spirit which would make it look as if they were unconscious or something - I like that effect. Will also try to give more 'depth' to the characters by having them actually do stuff. Sooo, 'Recruit / Rumor' - what is this all about? Oh, we should try and find out if there's like any jobs for us or something? Someone there talks about some 'job'? K. Do they talk to each other? Oh, recruit rumors about the lawyers whereabouts? Does anybody know where or how we could meet him? Maybe the Wizard could make himself invisible and try to sneak past the guards? He doesn't even have to say the spell or make any gestures - he just instantly becomes invisoble. So, do many people get past the guards? So, it's not like nobody would enter the great-hall - you'd just have to have a good reason to do so. Do they have any precautions against invisible people entering? Maybe it's like the wraith and it can spy invisible people? Or something like dust on the floor? Maybe some curtein everybody has to walk through or a door? I could steal stuff too? Maybe I'll just follow somebody who might go to the great-hall. Did I hear anybody say he wants to go there? So they have some magical device that could spot invisible intruders? Is the Wizard's notice skill high? What about his perception - is it high? Not enough points - so he's a bit clumsy and weak and maybe short-sighted or just distracted most of the time. Well, he does notice the device to find invisible intruders however. Not because of him though? Are they used to it? Do I find the great-hall? So, I suppose the lawyer's here? Let's talk to him then. I tell him what happened - what does he say? He agrees to help, because the wraith comes in and he gets scared? SO what did I learn? Will he help me? Search for treasure at the obscured mine. Does he come with me? Oh, right - I meant to steal something. Is his crime skill high? Normally he wouldn't have been successful, but with him being invisible and the wraith distracting everybody I'd say he got something nice. What is it? Let's get to the taxes department, shan't we? Did they find out that somebody stole something? K, let's get away from here then. Can we go to the lawyer's? Does our Dwarf have a 'streetwise' skill? Is his 'crime' skill high? I ask him if he could stay behind with me and have a look at that dress? I stay behind and hide the dress in a bag or something. Idea: I could use the damage dice and add success-levels for exhaustion from doing magic. (11 = 7[d20]+4) Minor Injury: Largely superficial; painful and distracting, but not life threatening. The cleric becomes somewhat exhausted after running about one minute in plate-mail. Should we rather walk to the lawyer's house then? I mean, they're not really after us, are they?